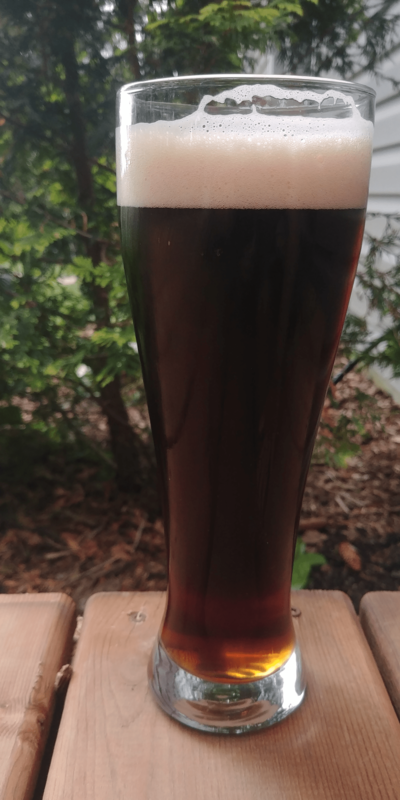 A month ago I brewed up a quick Vienna Lager, a recipe style I’ve recently come to love …and which also seems to cause me some grief. True to form, and true to its name, this Vienna had some issues. So today’s post is going to be a short one – recipe, what I screwed up, and how it turned out. 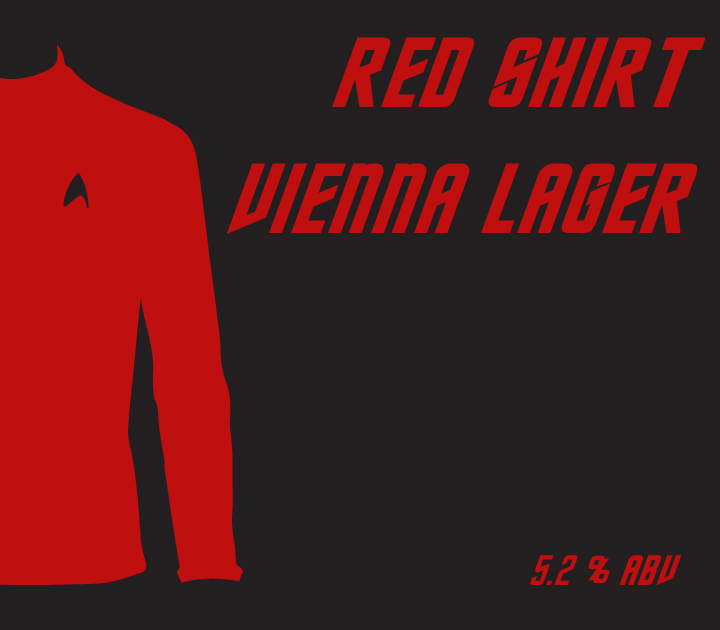 As is the theme this year, this beer has a SciFi-themed name…and one that I hopefully don’t have to explain. This beer is also a lesson in not letting life get in the way of your brewing (or, perhaps, of the importance of making brewing your life). I’ve been continually simplifying my Vienna recipes, going from a more complex malt bill in the earlier instalments – meant to mimic a decoction mash – to a much simpler recipe. Other than a touch of midnight wheat for some colour, this recipe is pretty much a SMaSH beer. No water adjustments; mash at 66.7C for 60 minutes, batch sparge. Boil for 90 minutes to drive off DMS. Ferment with W34-70 using my warm-lager method, keg after two weeks. So the recipe describes my brewing plan…but life got in the way, and instead of spending 2 weeks in my fermenter the beer instead spent over a month. In a bucket with lots of air exposure…meaning, the beer oxidised. I’m stubborn (and out of beer), so I’m still drinking it, but its not as good as I had hoped. I’m also not liking Perle as a feature hop – I was motivated to try it in a Vienna based on another blog post I saw somewhere, and I don’t think I’ll be brewing a Perle-only beer any time soon. Hallertauer and Tettnanger seem to bring more depth than Perle, which comes across as 1-dimensional…although I’m not sure how much of that is the hop, and how much is oxidation. Appearance: Pours with a nut-brown body, slightly darker than I had planned it to be. Head is a slight off-white and is very stable and fluffy. Aroma: Very mild aroma; hints of malt and a generic hop character. Flavour: Here is where things are disappointing. Up front is an oxidized character; not over-powering, but enough to detract from the malt character. The malt character itself is classical Vienna – a slight toastiness, but without the strong malt sweetness of Munich malt. The hop flavour is modest; mostly bitterness with a subtle and flat German-hop flavour. Mouthfeel: Medium bodied, with a crisp finish. If it wasn’t for the oxidized flavour, this beer would be very refreshing. Overall: I think this would have been a great Vienna had I either kegged it on time, or followed my normal quick-lager approach of fermenting in a carboy. But I was lazy and used an “open” fermentation pail, and didn’t keg on time, and so I’ve paid the price. Luckily, my homebrew club is having a “Xmas in July” advent exchange, so I’ll be able to give about half of it away in exchange for much better beer. Yep, truly a redshirt – died when you need it most, and traitorous to boot. You hands-down won on that Xmas in July beer exchange. I want mine back. lol.